If you’re looking for a Pilates studio that’s serious about improving not only your fitness and strength — but your self-esteem and confidence, too — then our group classes are perfect for you. Pilates is so much more than the most recent fitness fad: it’s a proven practice that can benefit not only a person’s strength, agility and mobility but also their confidence and peace of mind. If you’re looking to take up a fitness class and you’ve asked yourself “are there group Pilates classes near me?” then we’re here for you! Our team are experts in delivering group classes which ensure that each and every client gets the maximum level of enjoyment from it. If you’re looking for group Pilates classes Perth residents love, here’s a closer look at our offering and why you will adore our classes. We want you to feel comfortable and at home in our studio, which is why we are proud to offer a 2-week trial that helps you to grow accustomed to our facilities, our team and our approach. This is 2 weeks, and even if you decide not to pursue classes with us, we hope that you will get something very important from it and help to improve your overall health! These are no-obligation trials, and they offer you a complete introduction to everything that we offer. During this time, you are able to enjoy unlimited classes to get a full flavour of what you enjoy the most. Our team has a great deal of experience offering amazing classes to our diverse range of clients. You can rest assured that in every class we work to ensure that each participant gets the most from their workout and learns both fundamental and advanced techniques that will help them to continue to live comfortably and freely in their own body. We have worked with thousands of happy customers over the years, and each one has managed to improve their strength, flexibility and agility. Not only does this have an impact on the body of the person, but it also helps with mental wellbeing. Each person is able to live comfortably and confidently in their own body. These results are not restricted to just one group of people: we work with a range of ages and injuries, so you can rest assured that you will get fantastic results that help you to live comfortably and happily for as long as possible. We are so confident in the results that we achieve that we can guarantee that every one of our clients will feel the benefits of their Pilates course within just 30 days. You will feel that your posture improves, as well as your overall core strength and flexibility. 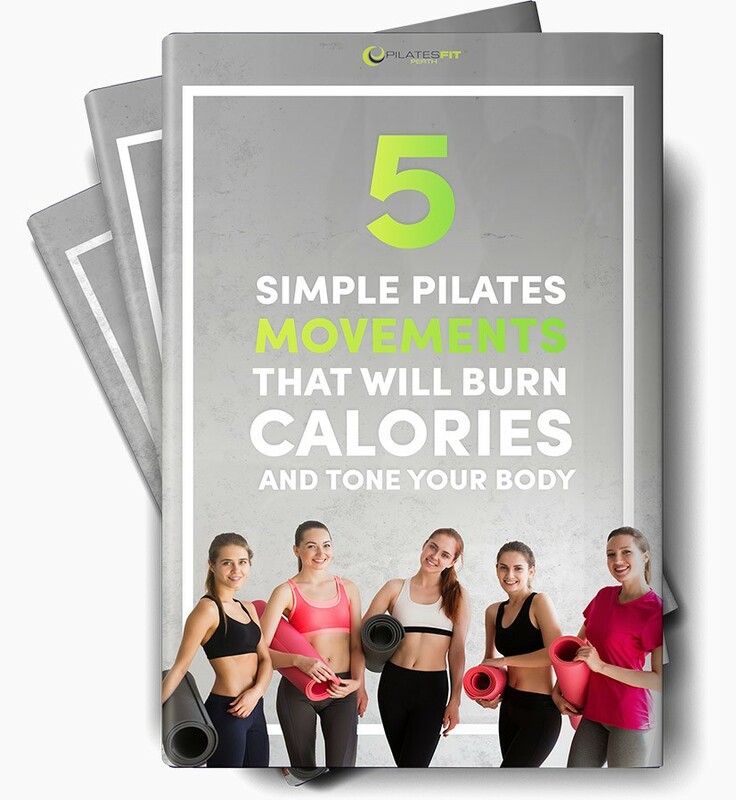 Once you feel the benefits, you will also begin to understand the full potential of Pilates and what you will be able to achieve over the long-term! Don’t forget to ask at the studio about this guarantee. If you are ready to get started, then you should be sure to visit our website and get all of the information that you need. Put an end to the days of Googling “Pilates Group Classes Near Me” and take the plunge – you won’t regret it! You’re on our page today because you want to master Pilates and harness its immense potential in a positive, open-minded space with likeminded students. That’s why we’ve created our 2018 Perth Pilates Group Class Program. We’re offering you a full month of group classes with a complete money-back guarantee. You’ll join a small class of fellow students and learn a range of easy‑to‑master techniques. Even the basic principles you’ll learn will help you improve mobility, co-ordination and strength. You could also lose weight and relieve stress. A huge variety of traditional and fusion training techniques like Pilates mat, Pilates reformer, TRX, Yoga, Barre, Boxilates, Pilates Stretch (we offer 75 classes across our two studios!). Not ready to jump into a class? We have you covered with our personalised one to one sessions – book a session with us to get you started. Click on the Introductory Private session Below. A Stronger, Toned and More Flexible You In One Month Or Your Money Back! If, after your 2 weeks of introductory classes (see below), you become a Pilates Fit Perth member, you’ll have a full 30 days to test our studio and instructors. Don’t forget to ask about our guarantee when your in our studio. If you know you’re ready to try Pilates Fit Perth…great! For a limited time (while our limited spots last), we’re offering you a 2 week’s worth of group sessions. Simply click on the Claim Now button, follow the easy prompts to complete your deails, book and pay for your pass and we’ll be in touch with details.